The 2nd Wildflower Film Awards Korea finished with yet another trophy in HAN Gong-ju actress CHUN Woo-hee’s hands. The celebration of independent Korean films and filmmakers, which aims to bring underrated works to global attention, held its ceremony yesterday (April 9th) at the Literature House in Seoul. Ten awards were presented including the Grand Prize, Best Director - Narrative Films, Best Director - Documentaries, Best Actor, Best Actress, Best New Director, Best New Actor, Best New Actress, Best Screenplay and Best Cinematography. Films eligible for the awards required budgets under KRW 1 billion (USD 900,000) and were released theatrically between January 1st and December 31st of last year. 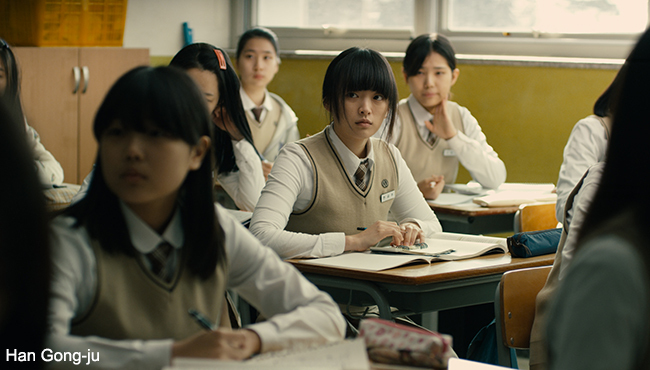 Winning the Grand Prize and the Best Actress Award was none other than last year’s most recognized indie film, Han Gong-ju. Director LEE Su-jin and actress CHUN Woo-hee have already been awarded with numerous trophies for the coming-of-age drama, including at the Blue Dragon Awards, Grand Bell Awards and KOFRA Awards to name a few. Best Director in the narrative section went to Hill of Freedom’s HONG Sangsoo, while Best Director in documentary went to PARK Chan-kyong for Manshin: Ten Thousand Spirits. Best Actor went to AHN Jae-hong of The King of Jokgu and July JUNG, who wrote and directed A Girl at My Door, took the Best Screenplay prize. Kelvin Kyung Kun Park and Stone KIM was recognized for Best Cinematography in A Dream of Iron, while LEE Yong-seung of 10 Minutes won for Best New Director. Lastly, Best New Actor and Best New Actress went to CHOI Woo-shik (Set Me Free) and KIM Su-an (Mad Sad Bad ). Outside of the ten awards, Gyeongju actress SHIN Min-a took the Special Jury Prize and the Achievement Award was handed to JUNG Sang-jin, the CEO of Atnine Film.